Campbellford, Warkworth, Brighton, Norwood & Havelock. At the end of one year a UV lamp has decreased in it’s intensity by approximately 20%. We strongly recommend that UV lamps be changed on an annual basis. UV does not kill microorganisms like chlorine does, but instead UV inactivates them. UV light is absorbed at the point on the microorganism’s DNA strand which codes for reproduction. A microorganism that cannot reproduce, cannot make colonies and therefore cannot infect when consumed. The UV light that is inactivating microorganisms in water is non-visible light, therefore the blue light that you see coming off a UV lamp is not what’s doing the work. A UV lamp can be described as a low pressure mercury vapor lamp, which means it fires via mercury vapor. Over the course of a year that mercury is being used up resulting in a slight decrease of UV intensity. At the end of one year a UV lamp has decreased in its intensity by approximately 20%. We strongly recommend that UV lamps be changed on an annual basis. 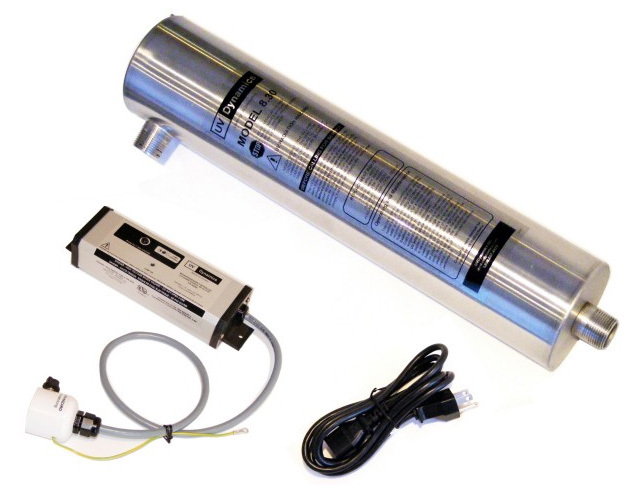 Is your UV Light overdue for Replacement? Enjoy Treated Water in Your Home Today!